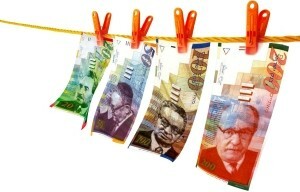 Think Israeli salaries are unfairly low? Make sure you know the truth before making important decisions. This is a guest post by Aviva Sieradski of Metal Israel. If you’d also like to guest post here on JobMob, follow these guest post guidelines. I've been writing since a young age. My parents are both writers and the talent kind of hopped into me genetically. After fruitless searching for work as a jeweler, my cousin bashed it into my head that I should be writing for a living, because writing is a natural skill for me. It's easy. Israel is notorious for a job market where people are vastly underpaid in correlation to their talents. So of course, the first step I took on the path of my semi-new career was a gimpy little skip onto the New York City Craigslist. I almost tripped and fell on my face in shock when I discovered that at least for freelance gigs, writers get paid way more in Israel if they are working for Israelis who don't know English. It makes a lot of sense, when you think about it. The infamous $1-a-post type of gig was something I got suckered into for a month before I realized what an idiot I was for working for $2 an hour (yeh, it really doesn't pay off if you're spending a half hour or more on a post) and the most reasonable offer I saw on Craigslist was for $20 an hour. Monster.com wasn't any more pocket-friendly. Full-time copywriting gigs, uninterested in outsourcing, were paying as low as $12 an hour. Try living on that in NYC, but that's another story and I think that job was in the Midwest anyway. I was told by a Digital Eve member that a beginning copywriter makes 150 shekels an hour. Unfortunately I haven't found any work of that nature yet. I almost scored a job paying me that much, but the transportation dilemma was a sore issue. The potential client wanted me to come in on a regular basis, but they were located in some moshav far out in public transportation yehoopitz and weren't willing to pay the more than 100 shekel a day it would cost for me to get there. G-d willing, the work is out there. But it's not THAT far out there, as long as it's on a computer…. then again, I should really check the British market. Aviva Sieradski is a basically charedi metalhead who made aliyah in 2003 and founded metalisrael.com in 2004. Her religious and political inclinations tend to upset people, but she's fine with that. She specializes in writing copy for the jewelry industry and is a frequent contributor to the Jerusalem Post, but will likely end up working in a bagel store soon if she doesn't find something more steady. If you enjoyed this article, you'll probably find useful The Ultimate Global Guide to Job Salaries in 2008. Considering freelancing? Subscribe to JobMob via RSS or email for more unexpected insight on freelancing in Israel. Aviva- where do you fit all your talent?- You’re like the guy on Good Will Hunting. You keep suprising me. thanks Yochana Chava, I would have made some Sopranos like inappropriate comment in answer to you but I decided to spare everyone and be tznius. IMO, Aviva’s post is only the tip of the iceberg with regard to salary comparision and cost of living in Israel and the rest of the anglo world. You’re looking in the wrong places. The rates in the US are comparable if not better than Israel, generally. A technical writer in Israel makes about $35 an hour, for example. While in the US it’s $50. My experience is that an experienced English business writer can command a higher rate from Israeli companies with an English-speaking target audience; from there, the rates increase as to specific expertise. For example, if you have a track record with writing business plans or private placement memoranda, the rates paid are close to US. Aviva- thanks for posting that useful answer from Shira, who’s on the Digital Eve Israel Visual Blogroll. Robert- makes sense. Specialized work always commands a higher price, but finding the clients is a bit more challenging. Thanks for the link too.